What Are Frankincense Resins And How To Use Them? This is an educational site that explains what these resins are all about and how you can use them. Frankincense Workshop and How to Make a Still for the distillation of Resin and other Plant Material. $225- included Lunch and Goodies to take home, also contains the plumbing parts for the top of the pot. You will learn how to create this still which was first created by Dan Riegler which costs less then most good stills, but you will actually go home with it totally built. You will bring EVERYTHING with you and if you are coming from afar and cannot, you will bring the top of the pot which is the hardest part to do. Then you will watch as we help the others put theirs's together, so when you go home you can just put it all together. You will learn how to distill the resin and learn all about the different Frankincense resins and also how to use them in infusions, drinking, making soaps, etc etc. We will give you a complete list of what to purchase and we will supply the plumbing parts which will be part of the price in the course. ​ We will also feed you lunch and you will go home with some resin and hydrosol and of course a still ready to use. For those who attended my last workshop, you will receive a discounted price if you want to attend this one. Frankincense (also known as olibanum, Hebrew: לבונה [levona], Arabic: al-lubān) is an aromatic resin used in incense and perfumes, obtained from trees of the genus Boswellia in the family Burseraceae, particularly Boswellia sacra (syn: B. bhaw-dajiana), B. carterii, B. frereana, B. serrata (B. thurifera, Indian frankincense), and B. papyrifera. The English word is derived from Old French "franc encens" (i.e., high quality incense). Frankincense resin begins as a milky-white sticky liquid that flows from the trunk of the tree when it's injured, healing the wound. 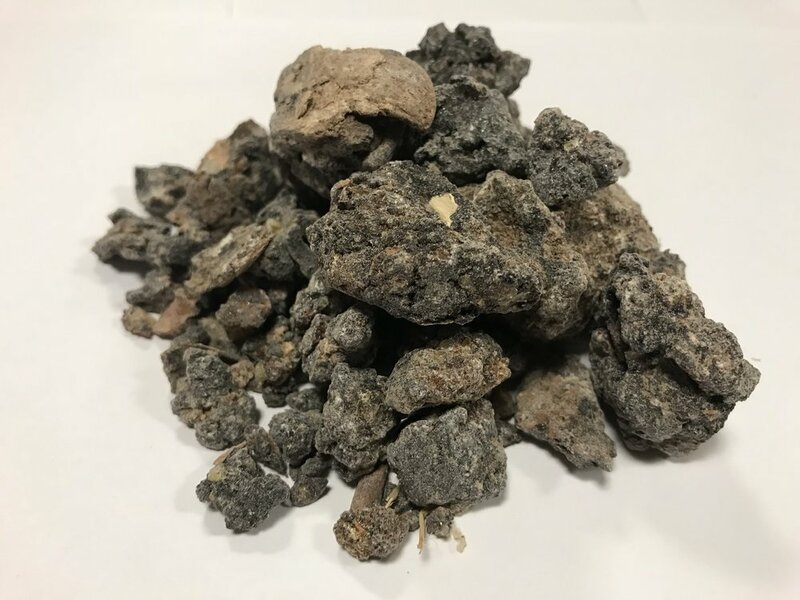 Frankincense resin is in essence a defense mechanism , it is the trees own healing fluid, that is why it is said the resins are found to have anti- fungal and antimicrobial properties. It is also thought that the antiseptic qualities of the resins help to prevent decay. It hardens over time due to exposure to oxygen, sealing the tree from the outside environment, harmful insects, infection, bacteria and mold. The Arabic name is luban, which means white or cream. It's also known as olibanum, and its essential oil is often called "Oil of Lebanon." It's commonly recognized western name, frankincense, is said to have originated from the Frankish (French) Knights of the Crusades who treasured it in large quantities. There are a variety of species that grow throughout Arabia, Africa, and India. Frankincense has been used as incense, perfume, and medicinally for thousands of years. Frankincense is used in both Ayurvedic medicine and Traditional Chinese Medicine, and in many local folk remedies throughout Africa and the Middle East. Boswellic acids are resin acids and make up between 30% - 60% of the resin portion of Frankincense. There are studies that have indicated that the boswellic acids in Frankincense possess anti-inflammatory and anti-cancer properties. The Essential Oil that is distilled from the resin does not contain boswellic acid. The molecules are too heavy to come through the distillation. I will give you a short explanation of each one of them. This resin grows in Somalia in Africa. Some traditional uses of Boswellia carterii is to burn it as an incense for fragrance especially after cooking something non pleasant smelling such as fish. It is burnt for the warding away of mosquitoes, and insects such as sand flies. It is believed that burning boswellia carterii frankincense after an illness will clear the germs. . It is also believed it can drive away evil spirits. It is said that most of Boswellia carterii resins are sold for the perfume industry with France being one of the major purchasers of Boswellia carterii. Boswellia carterii is used in many popular perfumes. France has an incredible history of distillation and perfumery with boswellia carterii, especially in Grasse region of France. It is also reported that China is a large purchaser of Boswellia carterii, for use in Chinese medicine. Boswellia carterii is a source of boswellic acid, and has been recently shown to fight inflammatory diseases like asthma, rheumatoid arthritis, atopic dermatitis, Crohn’s disease and a variety of cancers. Superior Hojari Frankincense is considered one of the highest grades of frankincense in the world. The medium sized translucent tears are white, yellow, amber, and pale green in color. 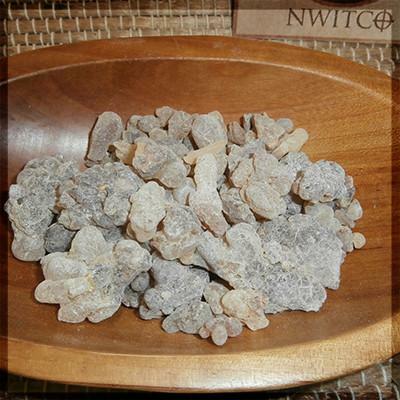 This type of frankincense is considered to be the best, with wonderful rich aroma.. This is the Frankincense of kings! This also highly likely the same frankincense brought to Jesus as an infant by the wise men! Boswellia sacra (commonly known as frankincense or olibanum-tree) is a tree in the Burseraceae family. It is native to the Arabian Peninsula (Oman, Yemen). Hojari Superior can be used in drinking water to add aromatic fragrance to the water. It is also said to clean the air and kills bacteria that multiply in the throat and stomach. In Oman, this type of superior frankincense is burned in churches, temples and mosques to add aromatic fragrance. . Also wealthy people burn this frankincense in their homes to provide a feeling of luxury, especially when receiving guests. The resin of Boswellia species has been used as incense in religious and cultural ceremonies and in medicines since time immemorial. Gum-resin extracts of Boswellia serrata have been traditionally used in folk medicine for centuries to treat various chronic inflammatory diseases. Boswellia serrata (Salai/Salai guggul) (Family: Burseraceae; Genus: Boswellia) is a moderate to large sized branching tree that grows in dry mountainous regions of India, Northern Africa and the Middle East. This resin has a bitter taste and when burned some think it really does not smell nice. .It has been used for those who have headaches and migraines. It is know to have very good anti-inflammation properties. Some see Boswellia serrata as a promising alternative to NSAIDs, warranting further investigation in pharmacological studies and clinical trials. Boswellia papyrifera, also known as Sudanese frankincense is native to Ethiopia, Eritrea and Sudan. The tree is cultivated in Ethiopia because of its valuable resin. The incense smoke is characterized by a fresh lemon-pine scent, and is therefore highly esteemed. In Ethiopia where it is called itan zaf, it comes in semi-translucent yellow tears. Boswellia papyrifera is distinguished from other types of frankincense by the presence of large amounts of Octyl Acetate and Octanol and two other unusual and unique chemical markers, Incensole and Incensole Acetate. Studies have shown that Incensole Acetate affects our central nervous system and possesses psychoactive properties. Some also say when burning this resin they seem to get intense dreams. It is used a lot in House of Worship for praying usage..
Boswellia frereana- Somalia- no BA in it but a very interesting resin. Boswellia frereana is native to northern Somalia where the locals call it "Maydi" or the king of all frankincense and their pride of joy. With a sweet and warm amber fragrance highlighted by spice, and floral notes, this resin differs from most other types of Frankincense with its pure oleo-resin content and lack of water-soluble gum. The west sees very little of this precious Frankincense. it is perfect for making , cremes, salves, tinctures and many other natural cosmetic, fragrant and healing products. It is anti-inflammatory, has been shown to either reduce cartilage deterioration, or rebuild cartilage.. It kills the H. Pylori bacteria that causes ulcers and is used in skincare products as are the other types. It is easier to work with since it can be mixed or melted directly and quickly in oil based products. It has a lemony type smell. This beautiful resin comes from the Ogaden region in Ethiopia and also in Kenya. . It components are made up of alpha-Pinene, alpha-Thujene, Sabinene, Delta 3 Carene and Limonene. The one from Ethiopia is a much sweeter Boswellia than that of Aden, Oman, Somalia and India with a slight minty note. I have used the resin from the other countries and notice a difference. The others have more of a masculine woodsy smell. I actually like this smell better. It is used in perfume and I can understand why. I took a piece and burned it and the smell was wonderful. Totally relaxing and I felt like I was drifting into a beautiful sleep, which by the way is one of its uses. It has been used throughout the ages to enhance spirituality, mental perception, meditation, prayer and consciousness, so I can see why I reacted this way. The resin is great for relaxation and to release anxiety and stress as it gives a sense of calming. I totally like this resin. I use it for the Hospice patients I visit that have lung issues especially those that have Lung cancer. No it does not cure cancer but what it does once it is infused in a carrier oil and massaged on one's chest, it seems to open up the lungs a bit and make it easier for a person to breathe. I have found each time i have used it in this capacity it really helps. Frankincense resins are wonderful, there are many uses for them. You can make salves, tinctures, you can infuse them, you can drink them in tea, and you can put them in a capsule and ingest them. They are totally different than the essential oil. The contradictions are different because you are using the raw material instead of using the highly concentration essential oil. I have incorporated them into my aromatherapy practice. If you want to learn more about resins and incense I urge you to take course from The Northwest School of Aromatic Medicine. This school is excellent, I took my courses here and the school is excellent. Frankincense Resins can be hydro-distilled, (which means they are distilled in water), or steam distilled . The best way is hydro-distilled. I recently followed Dan's design and Instructions and made his still. I made a pdf on my experience on how I did it which is below on this site. I will be updating this site from time to time so keep checking back. The Frankincense populations of the world are greatly threatened at this time due to their ever-growing popularity, over-harvesting, and natural destructive forces. The rise in popularity of essential oils has had the most devastating effect on the natural populations of these trees. Local harvesters try to meet large-scale corporate demand of essential oil companies by harvesting much more than the trees can handle, jeopardizing the tree’s well-being. Once weakened in this way, their immune systems are compromised, allowing disease and insects to finish them off. Frankincense trees are becoming highly endangered .though the demand and trade of this precious commodity has not slowed. Studies show that if we continue down the road over-harvesting, Frankincense trees could be extinct in 50 years! Times of crisis always generate good in the world however. In light of this critical reality, local leaders and wild-harvesting co-operatives in North Africa have begun to address this issue, spreading knowledge and best practices for healthy harvesting methods as quickly as possible. Be sure to ask your Frankincense resin/oil supplier to look into these co-operatives, and demand ethical and sustainable sourcing of their Frankincense from them. Make sure you purchase from companies that do Fair Trade and you purchase from Reputable Sources. Those who purchase through Fair trade, teach the farmers how to grow more trees and strip them correctly. It also makes sure the people who harvest the trees are given fair wages to feed their families. Many of these trees grow in hard to reach places and harsh conditions with poison snakes around the trees they try to harvest. So you want to make sure these harvesters are treated fairly. NWI Trading Company which is owned by Ryan Bambrick and Apothacary's Garden owned by Dan Riegler. All these pictures and any of my pictures cannot be used without Permission. PDFs maybe be downloaded to enjoy but none can be changed or altered. This is a pdf which teaches you an easy method for infusing resins. This was created by Ryan Bambrick and with his help I put it into a pdf to make it downloadable. My Experience with the "The Magical Couscousierre". (How to make Dan Rigeler's "Still"). This is a step by step with pictures , it is my experience on how i made his still. Enjoy the journey.